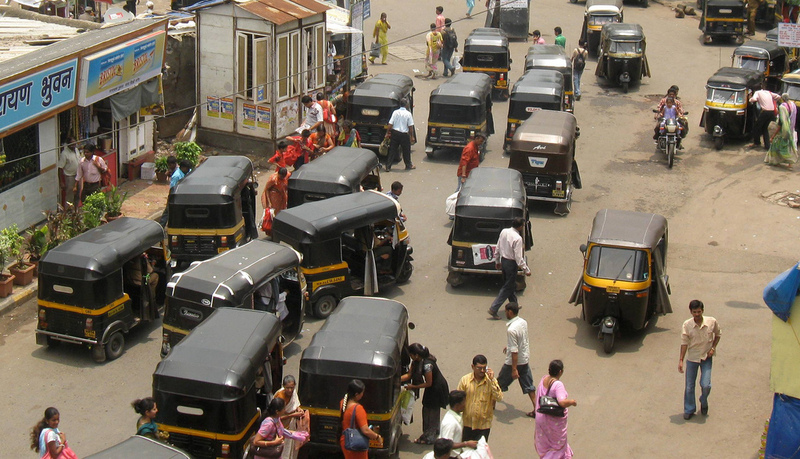 Auto-rickshaws are an important mode of transport in Indian cities. A Chatham House study last week reported that the “oil industry can no longer rely on its monopoly of the transport market”. The increase in oil prices, and new technology in terms of engine efficiency and alternative fuels, as well as shifts in transport use and the resolve of governments to pass tougher climate change laws has affected a reduced dependency of the transport industry on gasoline and diesel. The transport department in Lucknow, India has ordered regional transport officials to make school buses safer and more comfortable for children, warning that severe penalties will be inflicted on non-compliance of road safety norms. In addition, all school buses will have to be painted golden yellow with a blue line across the middle. First aid boxes, uniforms for drivers, comfortable seats, two emergency exits, and other features will be made mandatory. Patrick McLoughlin, Britain’s transport secretary, announced a £170m budget to fix bottlenecks on key routes in the UK by 2015, reconfirming the government’s commitment to the high-speed rail project, and more investment in infrastructure. The recent fare hike in auto-rickshaw and taxi fares in Mumbai, India are compelling some commuters to re-think their modes of travel, opting for cheaper means of transportation, making their commute sometimes longer and more tedious. The number of cases of public transport fare evasion in Singapore went up by 12 percent last year, going up from 6,456 cases in 2012, to 7,256 cases in 2011, according to the Public Transport Council (PTC). Underpayment of fares, non-payment of fares, and the misuse of concession passes are the three main types of fare evasion. The province of Khyber Pakhtunkhwa in Pakistan has decided to ban the use of public transport vehicles in the capital city of Peshawar older than nine years, and will refuse to renew their route permits. An official notice for implementation of the ban will be issued shortly. The ban would affect close to 700 mini-buses, 450 wagons, and 400 buses being currently used as intra-city transport. The Harare City Council has deployed staff at bus terminals and in the city centre, with support from Zimbabwe Republic Police to enforce traffic and licensing laws. An improved traffic management system is believed to be an answer to solving many pressing problems in the city. The USA’s second busiest subway system, the Washington DC Metro will soon have new sleek subway trains, which include a stainless steel exterior, blue seats, and helpful electronics – display panels with the names of approaching stops. Richard Sarles, GM, DC Metro says, “This is Washington Metro entering the 21st century”.